Comox offers a small town charm and feel that just is not available in a larger city. As you enter this wonderful seaside community you will likely feel the stress level and hustle and bustle of city life fade away. Here, residents operate on “island time” and there is no need to rush to do anything. Having said that there is an amazing number of things to do in the local area. 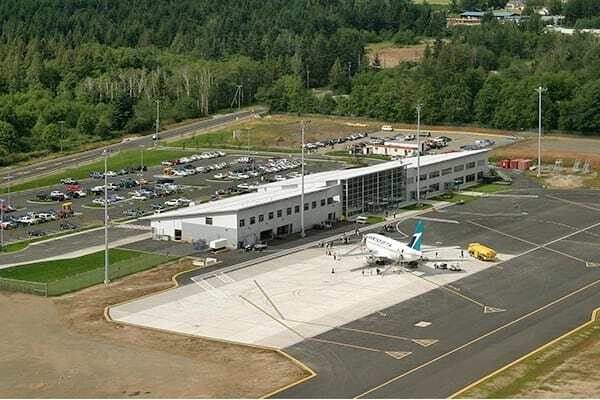 By air – via Comox Valley Airport (YQQ) located at 1250 Knight Road just a few minutes drive from Comox. The airport is serviced by Air Canada, WestJet, and Pacific Coastal. There are flights to the hubs of Vancouver, Calgary, and Edmonton. There are also harbour-to-harbour flights via Harbour Air Sea Planes from downtown Vancouver to the Comox Harbour. By ferry – direct to Comox from Powell River, or routes between the Lower Mainland (Horseshoe Bay in West Vancouver and Tsawwassen in Delta south of Vancouver) and Vancouver Island (Departure Bay and Duke Point in Nanaimo are the closest). Ferries also connect Vancouver Island to Washington through Victoria. By car – drive to Comox from Nanaimo via the scenic coastal highway (#19A) or the four lane expressway (#19). The drive from the Departure Bay ferry terminal in Nanaimo to Comox takes about 1 hour and 15 minutes on highway 19. Add about 15 minutes for the drive up 19A. Explore the quaint shops along Comox Avenue, the main street of Comox or visit the Comox Centre Mall located at 215 Augusta Port and accessed off Comox Avenue just past the downtown core area. Right next to the main street is Marina Park located at 127 Port Augusta Street which is host to a number of festivals and events during the year. The park borders the Comox Marina and harbour. Comox is home to four marinas (Gas ‘N’ Go, Comox Municipal, Comox Valley, and the Comox Valley Harbour Authority (Fisherman’s Wharf) which hold over 500 pleasure boats and a commercial fishing fleet. 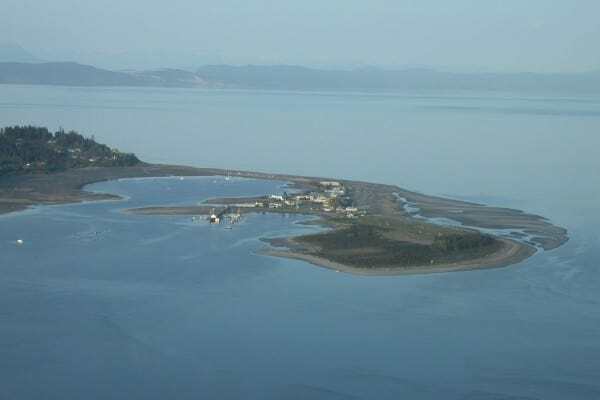 The marinas are protected by rock breakwaters which is in turn protected by the Goose Spit which extends out into Comox Harbour, providing one of the safest year-round harbours on Vancouver Island. The Comox (municipal) Marina offers a boat launch and is located right next to Marina park with plenty of parking, washroom facilities and a play area for children. A two minute walk is all that is required to reach the shopping, pubs, and restaurants of downtown Comox. Make your way through Marina Park and then further on to the pier. The viewpoints along the pier offer unobstructed views of the Comox Glacier and Beaufort Mountain Range. Before walking onto the pier take a look to the left to see what is offered as the daily catch at the Comox Fisherman’s Wharf. Comox has two large grocery stores. 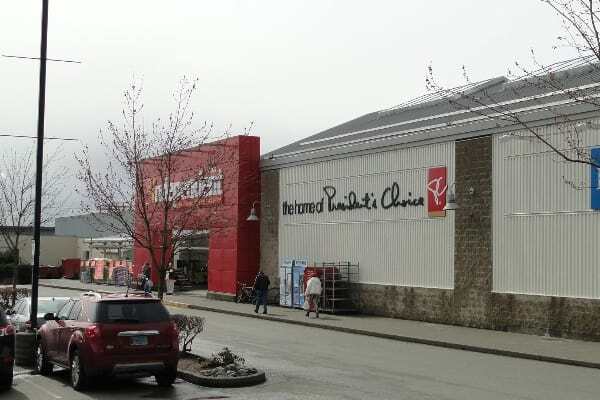 John’s Your Independent Grocer is located in the Comox Centre Mall at 215 Port August Street and accessed off Comox Avenue just past the downtown core area. Quality Foods is located at 2275 Guthrie Road. 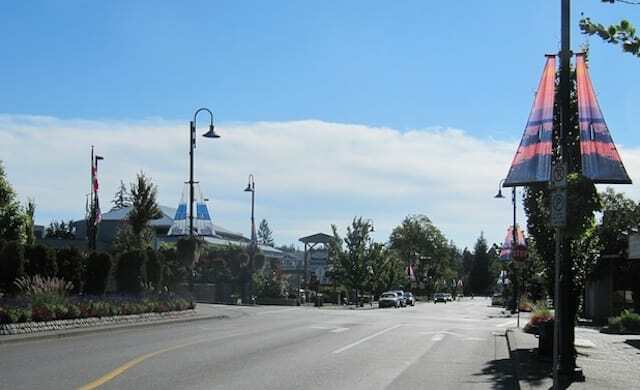 There are a number of quaint shops on the main street, and a considerable number of restaurants (including fast food) throughout the area, many of which are located in nearby Courtenay. Courtenay offers boutique style shopping along the original main street (5th street) and in many strip malls along Cliffe Avenue. Courtenay also has four main shopping malls. The Driftwood mall is located at 2751 Cliffe Avenue (with a Canadian Tire). SmartCentres is located at 3199 Cliffe Avenue (with a Walmart, Winners, Best Buy and Staples near by). The Crown Isle Plaza (the newest mall in Courtenay having opened in 2012) is located at 444 Lerwick Road (with a Thrifty Foods) and the Costco, Home Depot and newest Tim Hortons are right across the street. Ryan Plaza is located at 1015 Ryan Road (with a Superstore). Sip local spirits at the Wayward Distillation House located at 2931 Moray Avenue in Courtenay. It’s rated among the top Food and Drink options in the Comox Valley. It is an artisan craft distillery and it is the first distillery to use honey as the base of its spirits. This resonated province-wide and earned it the accolade of B.C.’s favourite vodka and B.C.’s second favourite gin. Rather enjoy a beer? Try Gladstone Brewing Company located at 244 4th Street in Courtenay or Forbidden Brewing Company located at 1590 Cliffe Avenue. It is a few extra minutes drive to the Cumberland Brewing Company located at 2732 Dunsmuir Avenue in Cumberland. If wine is more your taste try the 40 Knots Vineyard & Estate Winery located at 2400 Anderton Road Comox, the Beaufort Wineyard & Estate Winery located at 5854 Pickering Road, Courtenay, the Blue Moon Farm, Winery and Ciderworx located at 4905 Darcy Rd, Courtenay or the Coastal Black located at 2186 Endall Road, Black Creek. Farmers markets are located in a variety of locations. The Comox Valley Farmers’ Market is located at the Comox Valley Exhibition Grounds at 4835 headquarters road in Courtenay. There are a number of local farmers markets as well throughout parts of the valley. The BC Shellfish & Seafood Festival takes place at the Filberg Lodge and Park in the middle of June. Learn more about seafood production and sustainability in the Comox Valley while taking in chef demonstrations and tastings. Venture on tours and charters of local shellfish farms and attend gala dinners. Foodies won’t want to miss Fresh Fest which marries succulent flavours and live entertainment. 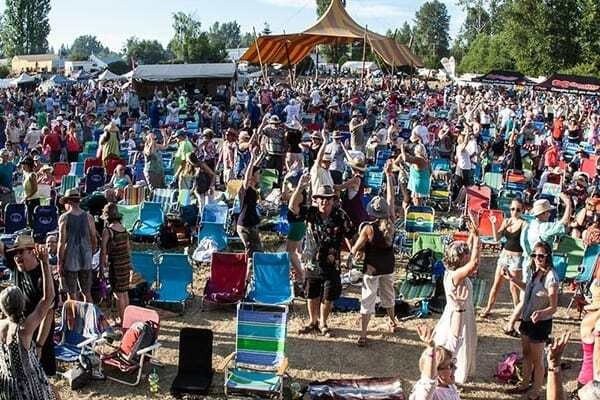 The Vancouver Island MusicFest takes place at the Comox Valley Fairgrounds in the middle of July each year. Check out three days and nights of roots and world music from across Canada and around the world. There’s onsite camping near the river, plenty of kid-friendly activities, eco-education areas, workshops, crafts, food and so much more. The Comox Valley Car Show takes place at the Comox Valley Fairgrounds about the third week of July. There is a cruise around the valley on Saturday night and the car show takes place on Sunday. The annual Filberg Festival takes place at the Filberg Heritage Lodge & Park located at 61 Filberg Road in Comox. This event is held during the BC Day long weekend in August. This property is home to emerald lawns, fragrant blooms, a petting zoo, wishing well, tea house and heritage lodge. Each B.C. Day long weekend the park hosts the Filberg Festival, an arts and crafts market with live entertainment and food vendors. Take in Comox Nautical Days each B.C. Day long weekend at Marina Park in Comox. The attitude of this coastal town livens with games, competitions, live entertainment and local food vendors. Enjoy pancake breakfasts, a bullhead derby, Valley Idol, a fish toss, tours of navy training vessels, dragon boat races and more. The indisputable festival event highlight is an annual fireworks extravaganza. When people think about Comox and the surrounding area fishing, golfing and skiing often come to mind. Fish in the lakes, rivers and ocean for a variety of salt and freshwater fish. Golf at Crown Isle (an 18-hole, par 72 platinum-rated course in Courtenay), at Glacier Greens (an 18-hole championship course located at CFB Comox off of Knight Road just past the public airport terminal), at Longlands (an 18-hole, par 3 course located at 1239 Anderton Road in Comox), Sunnydale Golf & Country Club: 18-hole, Mulligans Golf Course (a 9-hole, mostly par-3 course located at 4985 Cotton Road in Courtenay), and on the 9 hole Comox Golf course located at 1718 Balmoral Avenue in downtown Comox with spectacular views of the Glacier and ocean. Ski at Mount Washington located about 35 minutes from Comox. During the winter & spring there are 1700 acres of terrain serviced by 5 lifts and 4 Magic Carpets Nordic skiers will love 55+ kilometres of groomed winter wonderland. Hit up après-ski in the village or rent a condo for the weekend. During the summer & fall visitors can ride chair lifts to the top of Mount Washington for stunning views of the Comox Valley and beyond. Mountain bikers can enjoy lift-access downhill biking and hikers should make for the Raven Lodge and explore the trails and boardwalks of Paradise Meadows. Seal Bay Nature Park offers well maintained multi-use trails lead through this leafy seaside park that is teeming with nature. Miracle Beach Provincial Park offers a wide stretch of sand invites families to enjoy a day at the beach. There’s also a provincial campground, amphitheatre and interactive programming at Miracle Beach Nature House. Paradise Meadows in Strathcona Provincial Park (lot parking at Raven Lodge, Mt. Washington) offers a gentle terrain of the meadows for a picturesque wander. In spring hikers are treated to bursts of alpine wildflowers. Courtenay Airpark with parking available at 20 Street in Courtenay offers a paved urban route that loops around a small seaside airport. The path offers scenic views of the Courtenay River Estuary and tidal flats. River Trail East offers 5.5-km of multi-use trails lead users along the Puntledge River and through riverside woods. Groomed trails and boardwalks in a rustic setting. Puntledge Park offers easy walking trails through a wooded property with good access to the Puntledge River. Popular swimming hole in the summer and in fall the creeks are brimming with spawning salmon. Nymph Falls offers a scenic waterfall which is actually a terraced salmon ladder. Smooth exposed rock makes it a nice place to lay out but swimming is not publicly encouraged. Mount Edward Albert offers a popular overnight hike and 16-km one way winding through scenic forests dotted by small lakes. Make camp at Circlet Lake Campground and then push for the summit the next morning. Helliwell Provinical Park on Hornby Island offers great views of the Georgia Straight and the Coast Mountains while strolling a 5-km loop. The trails leads users along the Helliwell Bluffs. The Forbidden Plateau Ski Resort closed after heavy snowfall collapsed the roof of the main lodge in 1999. It was never rebuilt though remnants of the resort remain. Today the area offers recreation opportunities to snowshoers and hikers…and to those who have an interest in all things old and abandoned. Tube the Puntledge River Make like the locals for a scenic river float. Drop in near the fish hatchery in Courtenay for a ride that will wind you through the woods. Pull ashore at Puntledge Park for a swim before continuing on. Exit at Condensory Bridge or go all the way to Lewis Park. Peddle the Bear Bait Trail. It ofers a scenic 4.7-km long with minimal elevation gain near the Comox Lake Damn Picnic Area> Look for signage at the trailhead. Bear Bait follows the Puntledge River through a picture-perfect forest. Relax in the Kingfisher Hydropath. Arrive early to take a dip in the heated outdoor pool and hot tub, or relax in the sauna and steam cave. Next, collect your robe, don your swimsuit and sip herbal tea before being led into the Hydropath. 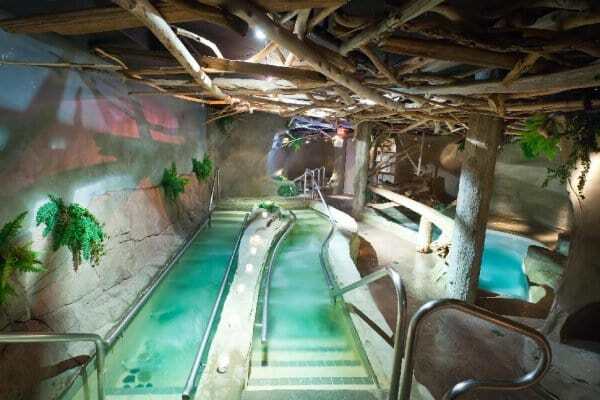 The Hydropath feels like an underwater sea cave and it follows an indoor circuit of wellness pools. You’ll encounter soothing mineral baths, a waterfall grotto, a scent-infused steam cave, stimulating glacial waterfall (optional!) and more. Following the Hydropath relax on loungers in a tranquil room overlooking the ocean. Race a go-kart at Saratoga Speedway. By day visitors can test their limits in go-karts on the 600-m racetrack. By night, attendees catch high octane entertainment. A perennial favourite is Crash to Pass though the track also hosts figure-8 competitions, hornet and bomber cars, and monster trucks. Dig for Dinosaur Fossils. Courtenay and District Museum & Palaeontology Centre. Courtenay may seem an unlikely place to find a palaeontology museum but no one was more surprised than a father and daughter who happened upon a great find. One day while they were fossil hunting along the Puntledge River the two discovered a group of fossilized bones. They would later discover they belonged to an Elasmosaur; B.C.’s first recorded Elasmosaur. This discovery would lead to Courtenay’s establishment as a north island palaeontology epicentre. A visit to the Centre offers a look at a cast of the famous find and specimens of other more recent discoveries. Saddle up for a Trail Ride at the Bear Creek Ranch located at 3061 Macaulay Road, Black Creek or at One on One Trail Rides located at 3425 Mounce Road, Courtenay. Comox Lake (Cumberland side)A chilly glacial lake that is extremely popular during the summer months. A log boom offers swimmers a protected area and there’s a floating dock to lounge on. Concession, washroom and campground on site. Goose Spit. A popular Comox beach with a mix of sand and rocks. Driftwood offers nice bench seating or a place to lay a blanket out and lean against. Have a Beach Fire at Goose Spit. You’ll find Goose Spit Regional Park frequented by locals year-round. The popular outer shore of Goose Spit is a mix of sand and rocks decorated with driftwood. The inner edge of the peninsula reveals muddy flats at low tide and is a thriving habitat for water birds. Goose Spit offers ample parking and Comox operates a beach bus during the summer months. Kayak to Tree Island. Kayakers can make this open water paddle a half or full day trip. For a full day trip launch near the Courtenay Air Park. Launch from Union Bay or Goose Spit for a shorter paddle. Once on the island, enjoy sandy beaches, bird watching and explore interior trails. Tree Island is located off the northern tip of Denman Island and the beach which skirts the island changes dramatically with the tides. Tribune Bay on Hornby Island. Tribune Bay ofers a wide stretch of white sand that slips under the clear shallows. The bay offers shelter from the cooler waters of the Georgia Straight making it a popular spot to swim in summer. Kye Bay. A sandy beach with shallow tidal pools, perfect for the kids. No real amenities nearby so you should pack a picnic. Saratoga Beach. Considered one of the best beaches in the Comox Valley, Saratoga’s sandy expanse stretches hundreds of feet towards the sea. That means there’s plenty of space to claim a spot. Admire the Arts. Catch a live performance at the Sid Williams Theatre put on by groups including Courtenay Little Theatre and the Rainbow Youth Theatre. This page just scratches the surface on what is available in Comox and the surrounding area. There are many different social and community activities that touch on just about every facet of life and quality of life. There is also a newcomers club that you can joint to learn what else this area offers. Want to know more, contact or visit the Vancouver Island Visitor Centre located at 101-3607 Small Road, Courtenay (conveniently located off highway 19 exit 117). Turn toward Courtenay and you will see it on the right.